Everyone loves babies. 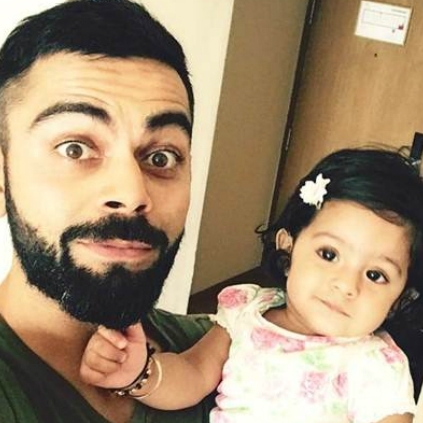 Virat Kohli, India's current best batsman stole a few hours of time from his ongoing IPL matches and spent time with Harbhajan Singh's daughter Hinaya. After a disappointing season in IPL, finally, it's nice to see Virat Kohli smiling and all thanks to this beautiful baby. People looking for online information on Harbhajan Singh, Virat Kohli will find this news story useful.